Obsessions, I have them. I actually have quite a lot of things I collect and recently I became interested in collection Pandora stacking rings. Stacking rings used to be a fascinating thing to me because I am a mix and match girl and also Pandora is an amazing brand. I have a few rings that I got as a birthday gift and Christmas gift. 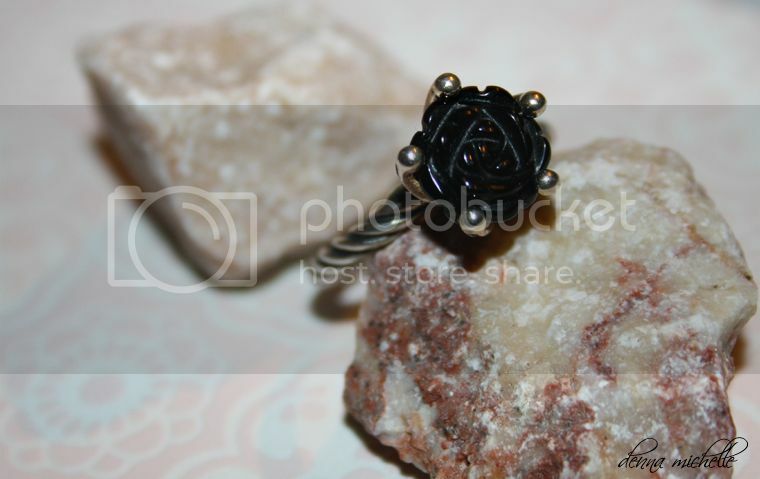 But the above ring is the first Pandora ring I bough myself….. I was not planning on getting myself a new piece of jewelry, I am actually saving up for a few things. But I was shopping for my sisters birthday when I spotted a 50% discount display full of Pandora rings. Now I have to say that I tried on 15+ rings and most of them were tiny but the rose ring was one that fits perfectly on my middle finger and loosely on my ring finger. Sadly enough I can not find a link for you guys if you are interested in this ring because it is discontinued, so you need to check with your local Pandora store if they still have this one. 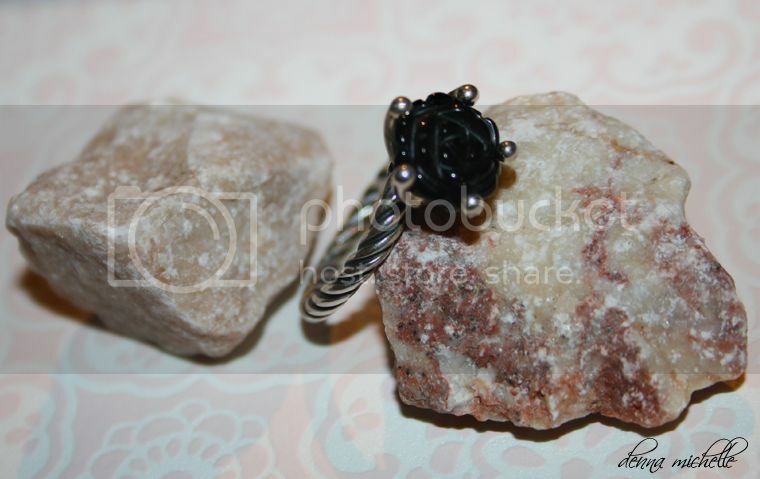 The normal price €60 what I think is really nice for a silver ring with a black Onyx and I payed €30 what is a steal! 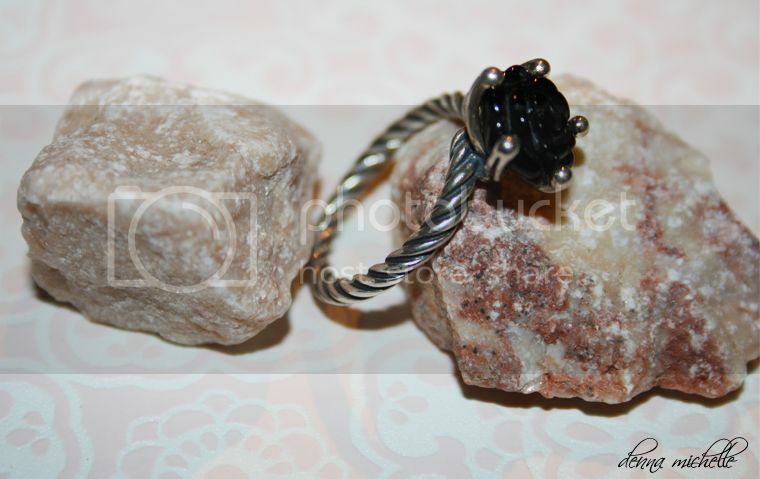 For this article I tried a new way to take pictures, I decided to add stones and a different background, what do you think. Do you prefer this over a plain white background?